The market is wide and there are many factors to consider. Your choice has a lot of impact on your online business, so it’s important to give it enough thought before signing up. To help you with that, we’ve compared the 9 most popular e-commerce website builders. In the end, we hope you are ready to make a decision on which platform is the right one for you. What is an E-commerce Platform and Why Should You Use One? The first question is what is an “e-commerce platform”? An e-commerce platform is a piece of software that allows you to build an online store and run a business online. It gives you the tools to create and manage your site including products and day-to-day operations. Most if not all e-commerce builders use drag and drop functions. Here’s the good news – you don’t need to be a web developer to create a good looking online shop. Easy (For Beginners) – In the past, if you wanted an online store, you had to build the functionality yourself. Later there were shopping carts but you still had to have developer skills to integrate them into your site. Now we have plugins. With e-commerce platforms, you get everything in one hand and can get started right away. Inexpensive – E-commerce platforms are not super expensive, some of them even cost nothing. While you definitely have expenses when running an online shop, it’s a lot less than developing your own solution from scratch. Plus, the more you pay, the more of your business can you usually hand over to technical solutions. One solution fits all – Especially when going with a hosted solution, you are able to let go of more parts of running your site. No need to deal with web hosting, security, updates and likes. Instead, you are able to simply concentrate on growing your business. Customer support available – Additionally, with a commercial solution you benefit from the support structure. Open source solutions such as WordPress are often community driven and you are therefore dependent on that community to provide support. While that can also work very well – if you are in desperate need of help at 3 am on a Sunday, it’s nice to have a guarantee it will be there. Alright, now that you have a better idea of what to look for in an e-commerce platform, it’s time to talk about what’s out there. In the following, we will go over the advantages and disadvantages of some of the most popular e-commerce platforms available, their pricing structure and who they are most suitable for. Full disclosure: I earn a commission whenever you end up purchasing an e-commerce platform through my referral links in this review. This helps me to run WebsiteSetup as a business. Thanks for your support. Wix is originally a website builder that allows you to create websites via drag and drop. On top of that, it also has features that allow you to build an online store. Like Shopify, the e-commerce platform is simple to use and quick to set up. 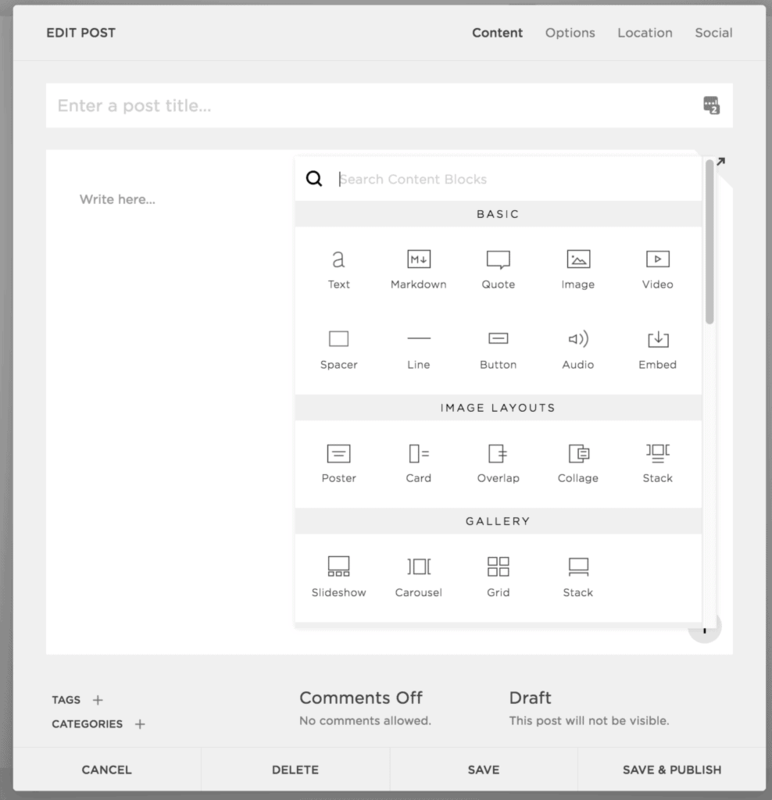 There is no coding required, you can literally drag content anywhere on your site with the user-friendly editor. What’s cool is that they have over 500 templates specifically made for online stores and even provide stock images you can use right away. Naturally, Wix offers a fully featured shopping cart with all the functionality you need. There are hundreds of apps in the official app market to further spruce up your website. Also, the service is fully hosted so there’s no need to worry about this part. What you need to keep in mind, is that Wix is not a pure e-commerce platform. It is first and foremost a website builder that is also capable of selling things. Therefore, e-commerce capabilities can be a bit basic. Keep also in mind that you can’t change your site template once you have published your site, which is a big drawback. Wix is subscription-based and offers different packages. Their paid plans are $5-$25/month. You need to pick at least the E-commerce plan to get online store capabilities. That one starts from $17/month. There’s only one higher plan, which adds better support and a professional site review. You can use their free plan to test drive the platform but it has really limited capabilities and no e-commerce options. SiteBuilder is the best website builder we’ve reviewed so far. Now we have investigated its e-commerce options, which seem decent enough. It’s similar to Wix – you have to get the highest plan to start with an online shop. It’s really easy to use. Like I-have-never-seen-a-website-interface-before easy. Their drag-and-drop interface is intuitive, simple and comprehensive. SiteBuilder has everything you need to get started – domain, hosting, analytics tools, SEO, and sufficient e-commerce tools. It comes with unlimited bandwidth and storage space. It’s cheap! The introductory price of $9.22/mo almost seems like too-good-to-be-true and even the regular price of $18.45/mo isn’t bad at all. Their support is really friendly and helpful. We connected within seconds and their support agent took the time to answer our in-depth questions about e-commerce tools. Therefore, even if you get in trouble (which is highly doubtful considering how simple their website builder is), you’ll get help in no time (during 7am-5pm Arizona time). 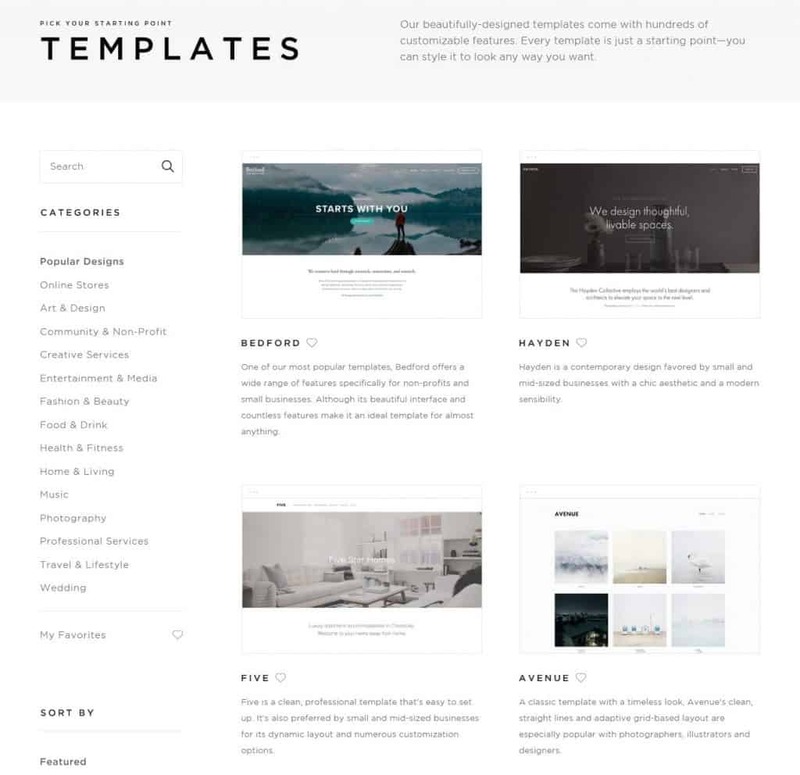 Even though SiteBuilder comes with hundreds of templates, only about 100 are suitable for e-commerce. Similarly to Wix, their e-commerce options can be limited for advanced users. There is barely any advanced marketing tools, payment options, and logistical add-ons. SiteBuilder has 3 main plans which all have a 50% trial discount for 1 year. For an online shop, you have to go with the eCommerce plan. It is often said that you get what you pay for. Even though SiteBuilder is somewhat limited, you definitely get much more than what you pay for – their options are just very beginner-friendly but at the same time comprehensive enough to handle professional website quality. You can try out SiteBuilder eCommerce for 14-days with money-back-guarantee. BigCommerce provides a hosted e-commerce solution both as a full SaaS platform as well as a shopping cart for other types of websites. It’s probably most similar to Shopify. The two of them are often mentioned in the same breath. The e-commerce platform comes with great store management capabilities. It offers a large number of tools and features, e.g promotions, unlimited product variants, options to handle returns, coupons and discounts. Another highlight is the flexible shipping options that allow live quotes and rate calculation. Additionally, BigCommerce integrates with Amazon, eBay and social networks. This enables you to sell across many different sales channels. It also has a lot of marketing tools with very granular controls, such as full control over the URL format. Multiple APIs help to make it customizable and flexible. BigCommeerce also has a large app store with extensions for all sorts of needs such as email marketing, automation and product promotion. You also get over 40 payment processing options with no transaction fees! The advantages are rounded off by the multitude of templates to choose from, the ability to design your own website and a large support system that helps you improve your e-commerce efforts. Traditionally, BigCommerce has lagged behind in its template offers. While they have caught up, users only get seven free templates to choose from. 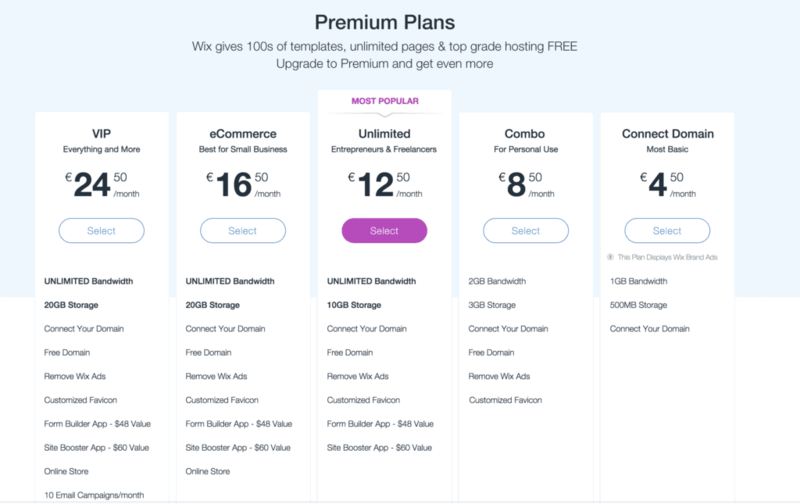 Premium themes can also be a bit expensive. Unfortunately, the design customization is not always the most user-friendly. BigCommerce has no native POS features as in other solutions and comes with a sales limit on your plan. It’s relatively expensive to get advanced features like an abandoned cart saver. BigCommerce plans cost between $29.95 and $249.95. You can save some money on higher plans by paying annually. There’s also an option for enterprise but you need to inquire about that. Additionally, themes cost between $145 and $235. While all plans give you everything you need to get started, with higher options you get more options like advanced customer segmentation and product filtering. The lack of transaction fees makes BigCommerce more attractive than other options on this list. Use the 15-day trial to find out if it’s right for you. Shopify has become one of the most well-known names in the e-commerce sphere. It’s a fully featured hosted solution with hundreds of thousands of users. We also have a full article about it, if the information below is not enough for you. The commerce platform is super easy to use and quick to set up. Just sign up with your email address and you can start building your shop and selling right away. The intuitive interface also makes it easy to create products and includes SEO features such as title tag and meta description. Shopify offers dozens of free mobile-optimized, elegant themes. More are available on purchase. No coding is required to customize them, just use your mouse to make changes. Additionally, the platform offers top-notch support via phone, email, live chat and Twitter which are available 24/7. That is besides the detailed documentation and online forums where you can get help from other users. 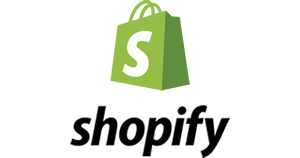 Shopify also supports a lot of third-party payment gateways and has a large app marketplace with over a thousand offers to add functionality to your site with a few clicks. Finally, they offer additional sales channels by providing you with the software and hardware to sell inside physical store locations, social selling and integrating with marketplaces like Amazon. One of the biggest drawbacks of Shopify is that costs can easily snowball. Besides the base fee, you pay for many plugins, themes and features. Some are one-off payments, some monthly, some yearly. Plus, there are transaction fees if you are not using the built-in payment system. This can all get a bit complicated and hard to plan with. Another disadvantage in terms of customizing your site is that Shopify uses its own markup language called “Liquid”. It is based on Ruby on Rails and makes it hard to make changes using coding yourself. 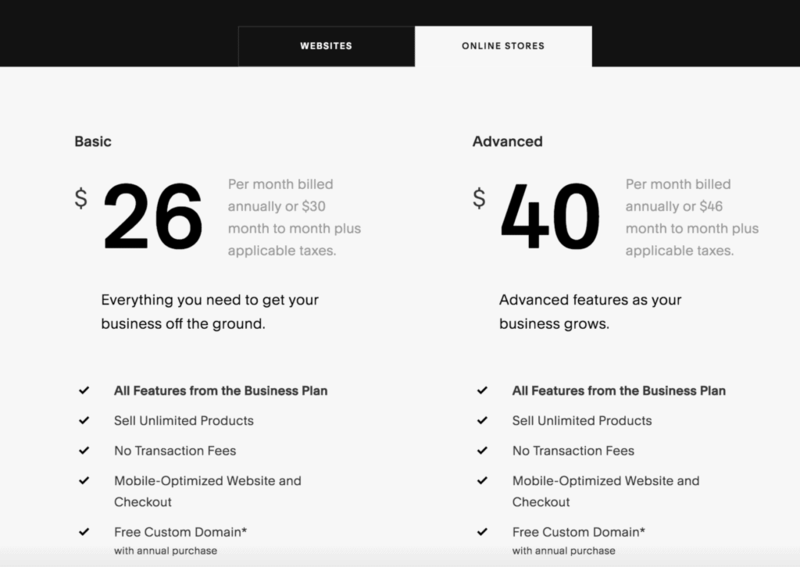 Shopify offers different pricing tiers with additional features depending on which plan you are on. There’s also Shopify Lite. 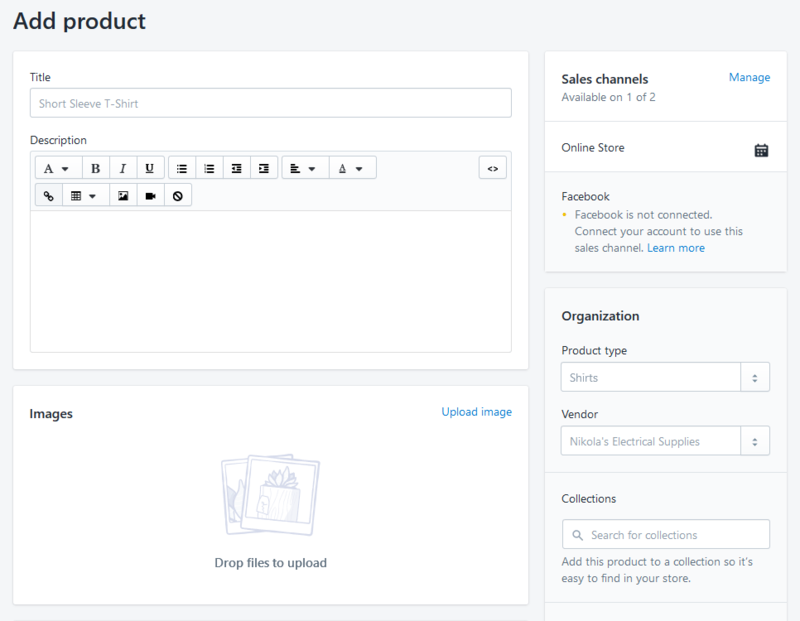 It lets you sell on social networks and embed products on your own website site to use the shopping cart capabilities. This plan costs $9/month, which is quite fair. Besides that, there is Shopify Plus for enterprise clients. You would have to inquire about prices but rumors say it starts at $1,200/month. As mentioned, in addition to the base price, you pay for apps and additional features. These really span a wide range of prices so be sure to research beforehand! Also, don’t forget credit card and transaction fees when using third-party payment providers. These vary according to your plan. Shopify offers a 14-day trial period to take a peek under the hood before committing. This solution is another cloud-based, hosted option to build an online store. It has been around since 1999 and has processed more than $28 billion in sales during that time. Volusion is a drag-and-drop site builder with in-page editing. It offers a comprehensive site search, many responsive themes (11 of them free) and the ability to customize your own. Besides that, it has solid e-commerce and product management tools like rich text product descriptions, native fulfillment options, subscription options, loyalty programs and more. It also integrates with a lot of payment providers and doesn’t come with transaction fees. Marketing options include SEO features, social selling, marketplace integrations for Amazon and eBay, among others. Note that some of those are only available on higher plans. Users also get 24/7 support via live chat and phone (the latter comes with a higher plan). This is in addition to a comprehensive knowledge base with articles, guides and more. Unfortunately, Volusion’s pricing structure is a bit confusing, because they have a set bandwidth limit. If you run out, you have to pay for additional traffic. This can make planning ahead a bit difficult, especially since their default bandwidth is relatively low. You have to pay extra for SSL, which is a must for any online shop. Other competitors provide it for free. Premium templates for Volusion are a bit expensive. Also, the platform offers no blogging capabilities. You can only include links to other blog sites in the menu. This is really a shortcoming in a digital world that runs on content marketing. Running your shop on Volusion will cost you between $29 and $299 per month. You get 10% off when paying annually. You have to call the service to change to a yearly plan. On more expensive plans, you get more products, bandwidth, better support and additional features. As mentioned, each plan has a bandwidth limit (1, 3, 10 or 35GB). Any traffic beyond that will cost you $7/GB. This can rack up quite quickly. You also shouldn’t forget about the transaction fees of your payment processor. There’s also the investment into an SSL certificate. The ones offered by Volusion directly are between $89 and $995. Of course, you can also get your own for free. 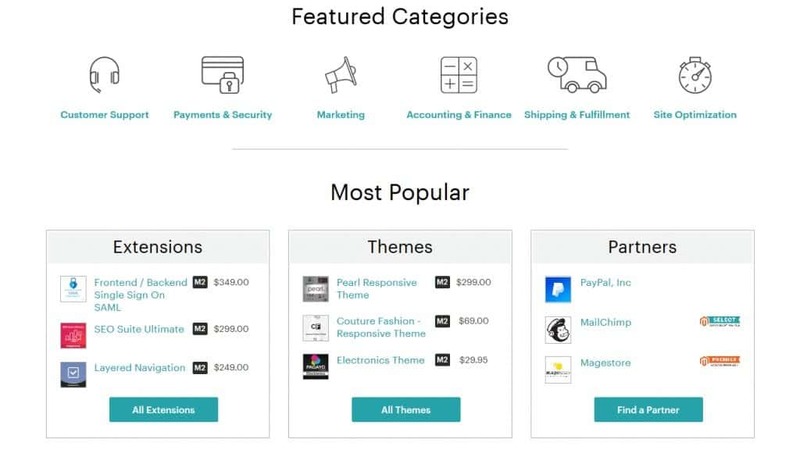 Plus, if you are going for a premium theme, you need to budget $180 for that. Use the 14-day free trial to check out Volusion. 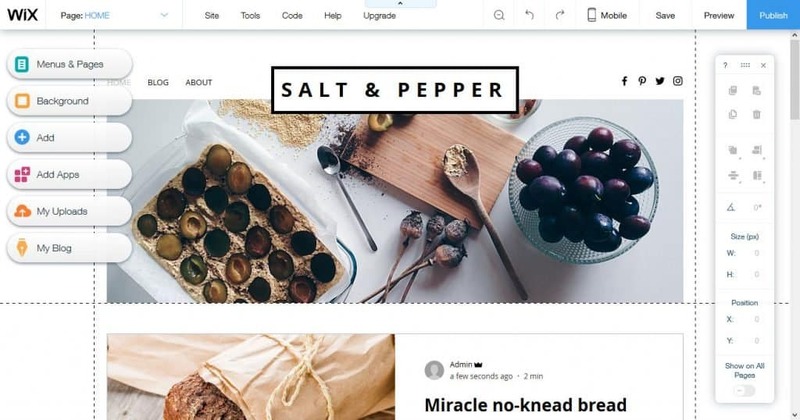 Similar to Wix, Squarespace is also a website builder operating with drag and drop. They started out with a focus on making visually appealing websites. As of late, the site is putting more energy into e-commerce and letting its users sell stuff online. By now they are starting to be a full-fledged e-commerce platform. The service has a simple and intuitive user interface and is very beginner friendly. The website templates they offer are elegant, beautiful, polished and all come with mobile responsive capabilities. The focus on design also makes Squarespace especially suitable for selling products that require high-quality imagery. Besides that, you have all the standard options like product variants, inventory management, unlimited products, coupons, shipping, the works. The platform also integrates with Shipstation.com for fulfillment and has a great customer service. They provide many data points to optimize your site and conversions including sales, revenue, traffic sources and more. Marketing tools include SEO settings, social media, blogging and abandoned checkout recovery. SSL is built right into the platform. On the side of disadvantages, Squarespace is somewhat restricted in features. For example, it has limited payment options (only Apple Pay and PayPal) and is missing important options for more complex shops and a large number of products or variations. Furthermore, there is no marketplace for apps to add more features and functionality. Your ability to customize your site via code and markup is also very limited. The platform integrates with only a few third-party tools and services. You pay for Squarespace monthly. To start selling, you need to be at least on the Business plan, which is $18/month if billed annually, otherwise $26/month. Note that there’s a 3% transaction fee on every sale. 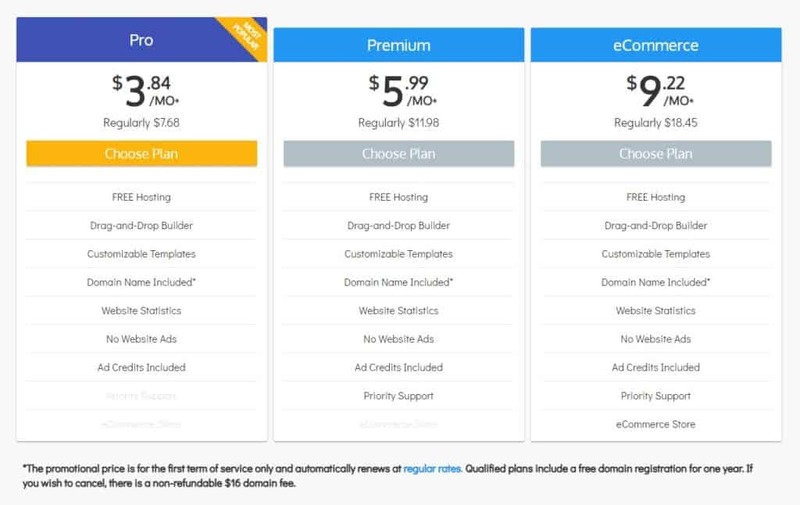 Note that you can waive the latter if you get on one of the e-commerce plans ($26-$46/month). You also get additional features for running an online shop like label printing, accounting and automatic recovery of abandoned carts. Magento is sort of the WordPress of e-commerce platforms. It’s a piece of open source software that you can download and install on your own servers. At the same time, it also offers a hosted cloud version, sort of like WordPress.com and WordPress.org. As a self-hosted solution, Magento gives you lots of control. With technical knowledge, you can change pretty much anything you want in terms of functionality and design, plus choose your own server environment. If the latter is not your cup of tea, the cloud edition might be more for you. For that, you need to contact the sales department to get a demo. Whichever way you go, you benefit from Magento’s long list of features and options. Membership subscriptions, recurring payments, discounts, the ability to adjust content per user are just the tip of the iceberg. You can extend your site via the marketplace. There are plugins and themes for all sorts of purposes, from customer support to marketing to shipping and site optimization. The platform is strong in terms of multilingual websites as well. You are able to create separate sites for different languages. It also has a strong community behind it that is constantly improving the platform and developing new themes and plugins. This also means a lot of support and available expert advice. For the Community Edition, all the downsides of self-hosted platforms apply. Be prepared to take care of updates, security and everything else to make sure your shop runs properly. While Magento has a lot of features, consequently it can be a little resource hungry. This will require you to invest time and money into optimization. Besides that, the platform is written in PHP, so if you want to make meaningful changes, you need to have the necessary chops or hire someone for it. Either way, expect to invest in development. If you are opting for the Cloud version, be aware that it is made for Enterprise clients and priced accordingly. More on that below. Magento Community Edition is the first free e-commerce platform on this list. That’s right, you can download and use it without paying a dime. Like many other self-hosted solutions, it comes with costs regardless, specifically for hosting. Premium plugins or templates and occasional development work can also be factors. If you don’t want to deal with much of the above, there is also the hosted version. As already mentioned, it is not cheap. The number we found was $18,000/year for licensing. We are continuing the theme of open source e-commerce platforms. OpenCart is available to download and install on your own server. The service also offers a cloud version of its solution. 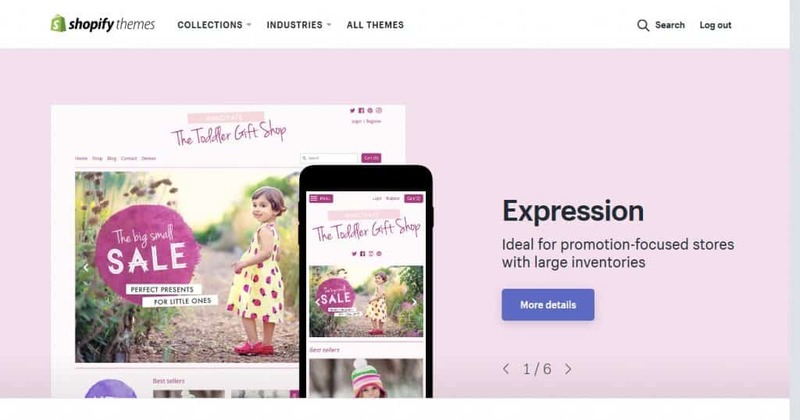 This e-commerce platform has everything you need to create and manage your shop. You can set up unlimited products and product categories for both digital and physical goods. It comes with product reviews and ratings out of the gate and supports multiple currencies. 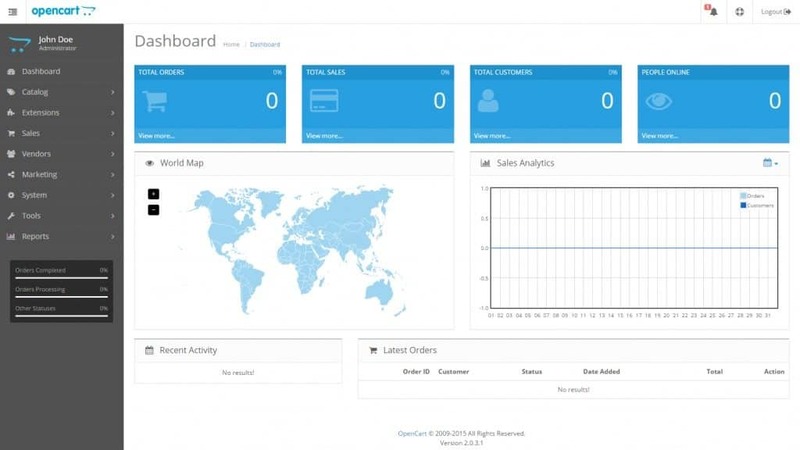 The dashboard gives you an overview over every important data point of your shop and you can even build and control several stores from one interface. Aside from that, the platform is highly customizable with thousands of themes and plugin extensions. It also integrates with hundreds of payment gateways. As a self-hosted solution, it comes with all the benefits of administrating your site on your own server. A large support network through a dedicated community and documentation helps you in a pinch. If you opt for the cloud version, you can get started in mere minutes. You also get access to a separate theme and plugin store and have all your hosting, security and backup needs taken care of. When you have the benefits of hosting your site yourself, you also have to deal with the drawbacks. OpenCart is not always easy to customize and adding new modules can be expensive. Besides that, its native marketing features are quite limited. For example, the default SEO capabilities are not very good. The platform is not always known as the fastest solution, so the self-hosted solution may be not the greatest option for scaling into large dimensions. The self-hosted software itself is free. Keep in mind that it comes with the usual peripheral costs. Additionally, there may be expenses for extensions and themes that add around $100 on average to your budget. You can also opt for the cloud-hosted version, which costs between $30 and $200 per month – half if you pay for a year in advance. It also includes a free SSL certificate. Our next contender is in the same category as the last two. It’s open source and self-hosted. Because it has a GPL license and resides on your own server, Zen Cart, too, is completely customizable. Like other solutions, you are able to make any changes you want even outside of available extensions. The solution also has a good reputation when it comes to security and scalability. Besides that, it offers many configuration options for products, including coupons, gift certificates and multiple product images. In the marketing department, you can take advantage of the built-in SEO features and ability to send HTML emails from inside the platform. A strong user community rounds off the benefits of Zen Cart. A serious drawback of this e-commerce solution is the outdated user interface both on the front and back end. You have the ability to change at least the font of your site. The less than intuitive user interface will make taking care of your site a bit of a drag. Zen Cart can be hard to install and upgrade. There is also no dedicated support, so users need to fend for themselves. Its ecosystem is quite small, so extensions and templates are hard to come by. The e-commerce platform comes only with a handful of payment options. Like other examples on this list, the software itself free, but you need to budget for the architecture to run and maintain, including an SSL certificate. Especially if you don’t have web development skills, you can expect to hire help and need to budget for it. Extensions and themes can also be part of the bill. When looking for the best e-commerce platform for yourself, you have different types to choose from. While there are several ways of distinguishing platforms, one of the main differences is their type of hosting. Self-hosted – Means you download a piece of software and install it on your own server. This gives you a lot of control over your website. It also puts all the responsibility on you to keep it safe, updated and make changes manually. Open Source e-commerce solutions often have this model. Hosted – An alternative is to use software that is hosted by someone else. SaaS (Software as a Service) solutions are the most typical examples here. The benefit: less technical overhead, quick startup, more beginner friendliness. Most often also more costs. Mixed – Several of the options below offer the possibility to include their shopping carts into other platforms (e.g. WordPress). This is also called Commerce as a Service (CaaS) and can be a viable and cheaper option. It’s a good idea that you actually get clear for yourself what matters to you most. This will make it much easier to weed out those options that don’t fit the ticket. What is the Best E-commerce Platform for You? Standalone e-commerce platforms can be a great solution for starting an online shop. They offer all the necessary features and specialized functionality to make selling online a success. Yet, choosing the best e-commerce platform is not an easy task. There are simply too many factors to take into account and many offers on the market. By knowing beforehand what your needs and requirements are, you make it more likely you will find a good fit from the top 3 above. I’m recommending Wix, SiteBuilder, BigCommerce, and Shopify. Hopefully, this guide has helped you in your decision. If it has, how about a discount code for your newly opened shop? No pressure though. What is your personal choice for the best e-commerce platform and why? Please let us know in the comments section below. At first I thought it would be easy to determine what platform to go with, was I wrong. Help! I am starting a Product Photography business, I will sell 3 to 4 different price packages and will have many sample photos on my website. I have looked into Clickfunnels, Squarespace, Wix and now Shopify. I will need to have customers pay by credit card or paypal. I will advertise with the usual, a Website, Facebook and Instagram or anything else to drive business my way. I also plan on taking my business to Europe in the very near future which will be a determine factor. Thanks for any help. SiteBuilder should work as they have nice templates for photography oriented sites. Thank you Robert, I will check out SiteBuilder. Man I wanna do an ecommerce store so badly, but I feel like I first need to memorise glossary of terms because I rarely get 2 sentances in before a term or such gets used and I have no idea from there on.. It can definitely feel overwhelming at first, so if you have any questions then I’m here to help! Hi, i’m heaitating between Wix and Shopify, i’m a ceramist and i’m starting my business. I also wanna sell on Etsy and in store. What do you recommend? I’d go with Wix, it will be cheaper than Shopify and it’s possible to integrate your store with Etsy. Excellent job. You deserve the commissions. Hope there are many. What according to you is more preferable platform? WooCommerce or Magento? And Why? WooCommerce is more user-friendly. Magento is more flexible. If you’re tech savvy, go with the latter, otherwise use WooCommerce with WordPress. Thank you for so much detailed information, Robert. I am planning on opening a website to deliver flowers, and I feel like maybe I do not need such an advanced platform as Shopify. Do you think it’s ok to use Wix/Squarespace with its limitations, or Shopify would be more comfortable? Very good article , Robert . In your opinion which platform gives you the greatest freedom in creating your own SEO strategy. Hi Anoop, I think Shopify has a good amount of SEO tools and apps available. Thanks for posting this Robert. What would you recommend for mobile automotive services direct to consumer? We would need to be able to calculate and collect taxes across different states. Thank you so much for sharing very informative information, I was too much confused for choosing e-commerce platform for my online store. I would like to know also about WooCommerce.